… through small business classes, collaborations with organizations seeking to support immigrant entrepreneurs and through initiatives like our home health aide certification program. We know that strengthening skills in the areas of English language and literacy, High School Equivalency, and Technology are essential to the successful integration and economic success of immigrants; however, without a longer term plan for connecting new knowledge and skills to viable income-generating opportunities immigrants can struggle to advance. 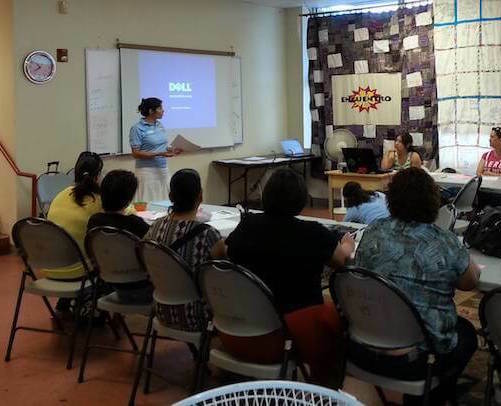 In response, in 2015 Encuentro launched its Workforce and Small Business Development initiative, which seeks to integrate workforce skills into all areas of Encuentro’s existing educational programming while also supporting the entrepreneurial contributions of our immigrant community through small business classes and collaborations with other local business resources. 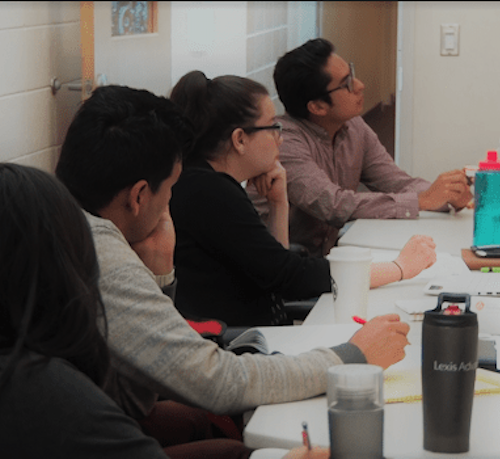 Encuentro’s Apoyando Empresarios Inmigrantes Fellowship Program supports and promotes professional development in the field of Immigrant Entrepreneurship and Economic Development in Albuquerque with a focus on social and economic justice. It offers five motivated Latino immigrant individuals the opportunity for professional development as preparation to work directly with Spanish-speaking immigrant entrepreneurs and/or individuals who want to start up a business. Through the course of the 14-month fellowship, participants will build the skills, experience, and training necessary to be an instructor/consultant in the area of immigrant entrepreneurship.